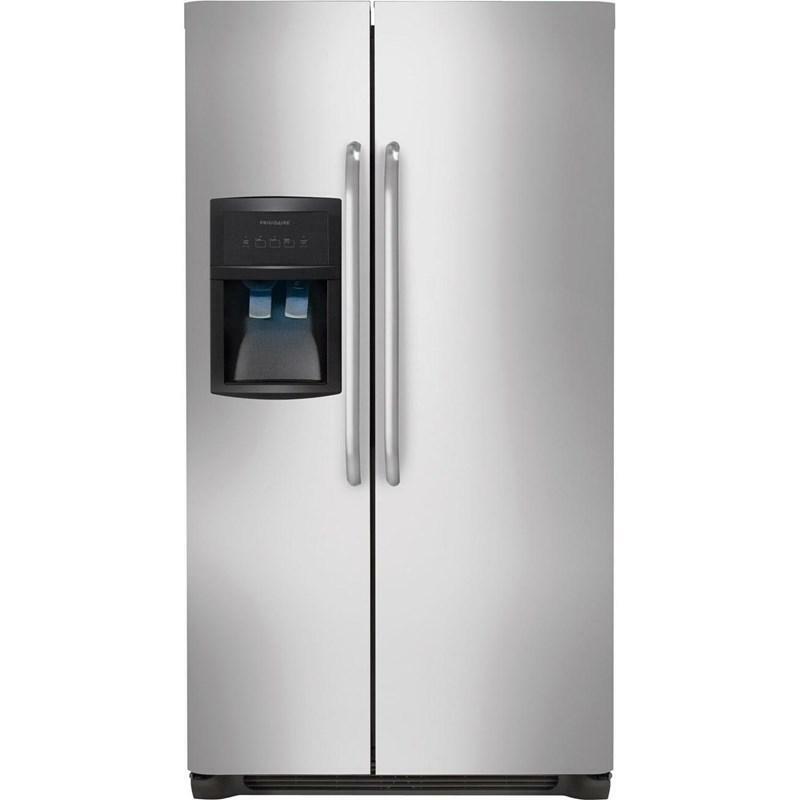 Frigidaire 22.1 cu. 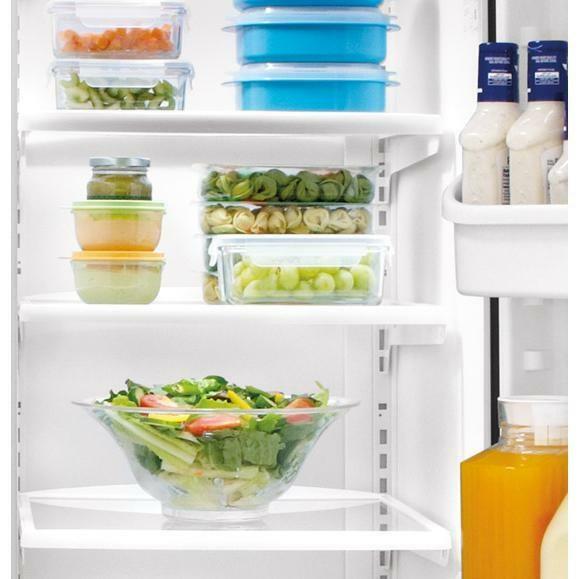 ft. side-by-side refrigerator features Ready-Select® controls, Store-More™ humidity-controlled crisper drawers and the PureSource 3® water filtration. 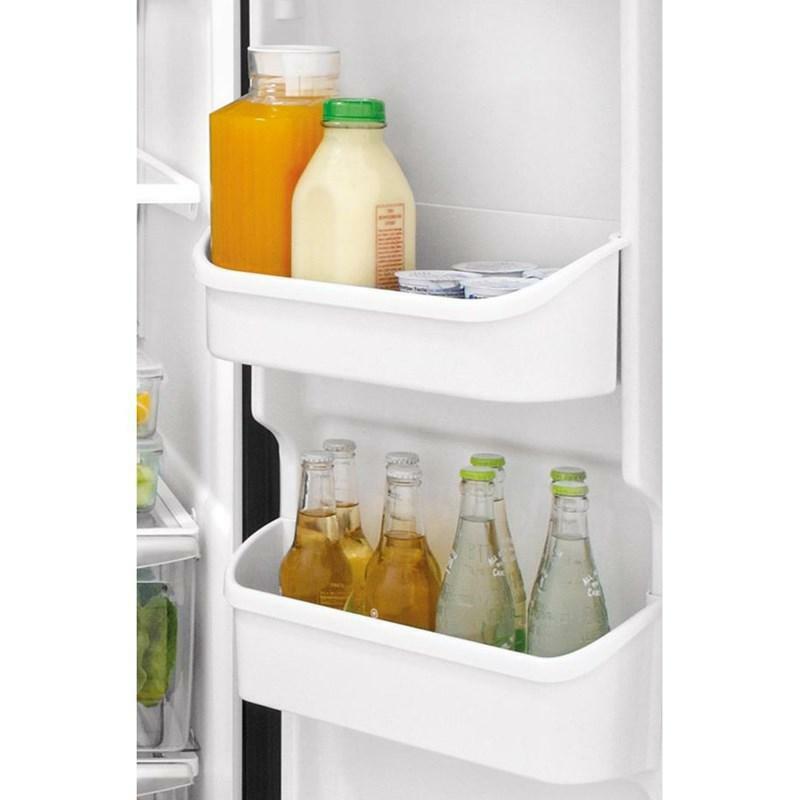 Its full-width freezer shelf gives you more usable space to organize and store more. 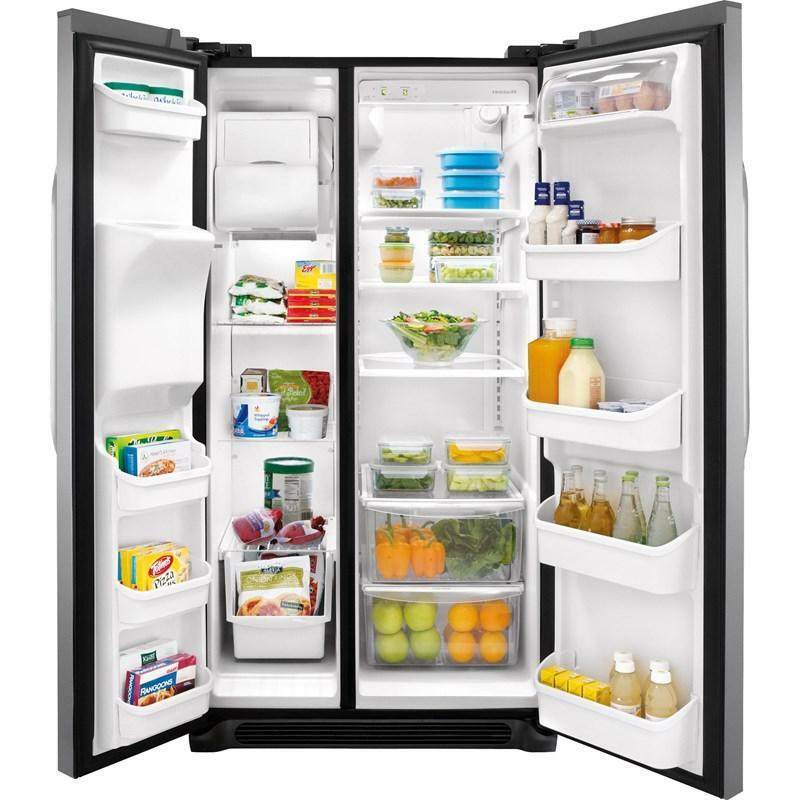 Refrigerator 14.2 cu. 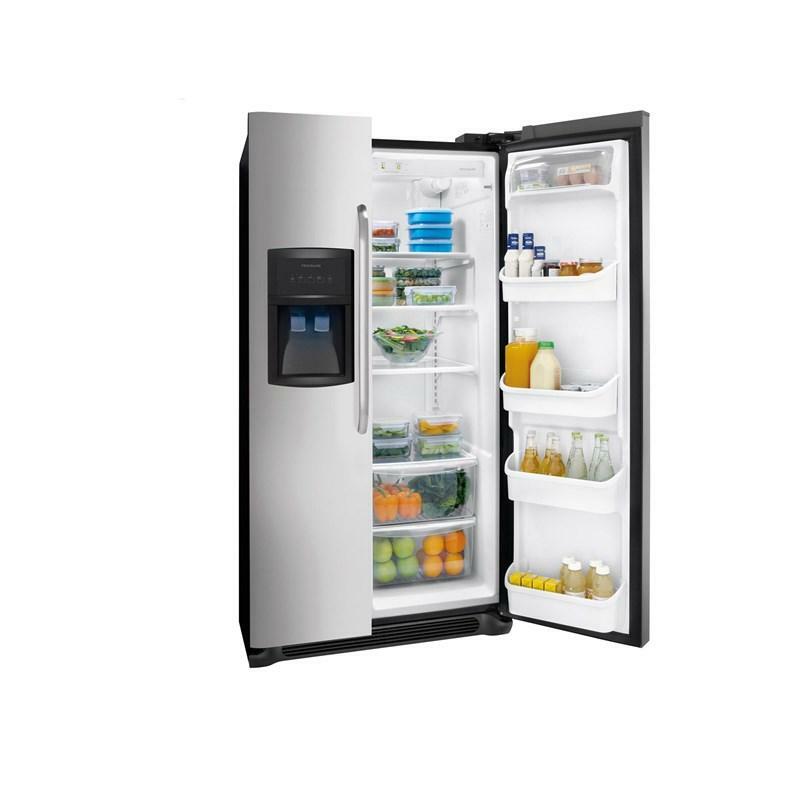 ft. / 0.40 cu. 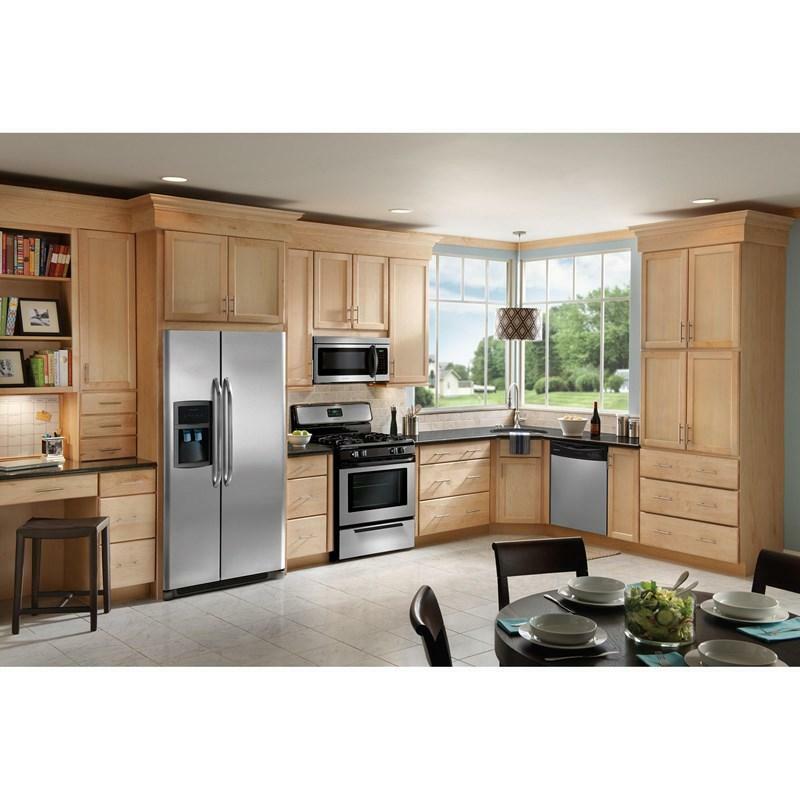 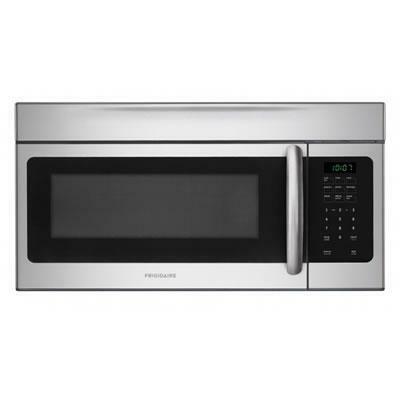 m.
Additional Dimensions • Height (Including Hinges and Rollers): 69 7/8"
• Cabinet Width /Door Width: 32 7/8" / 33"
• Depth (Including Door): 32"
• Depth With Door Open 90 Degrees: 48"
This Frigidaire 30-inch freestanding electric range features a seamless upswept ceramic smoothtop, a 5,3 cu. 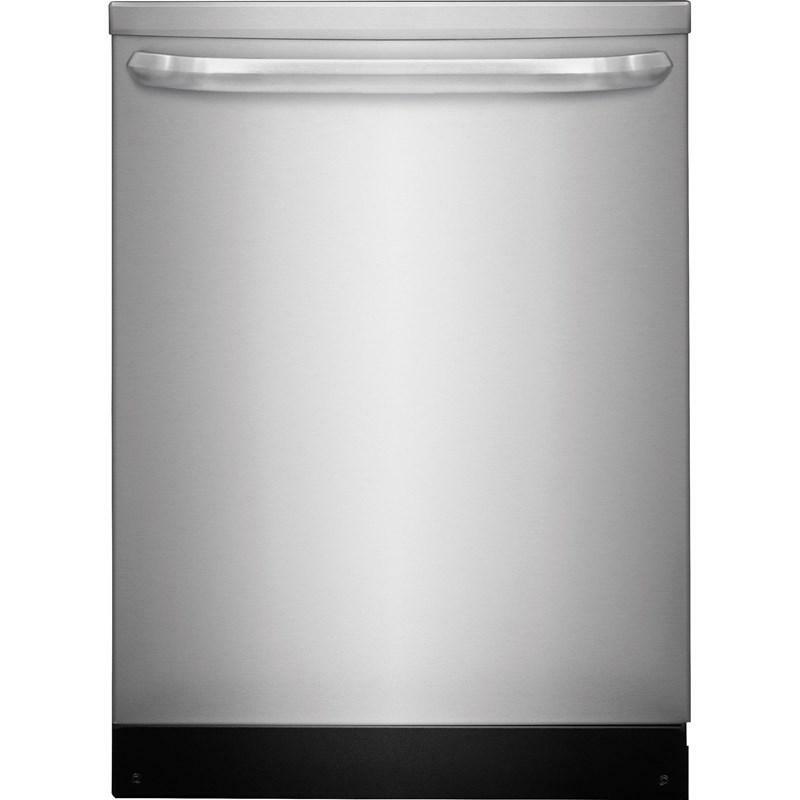 ft. oven capacity, a storage drawer and a self-cleaning oven. 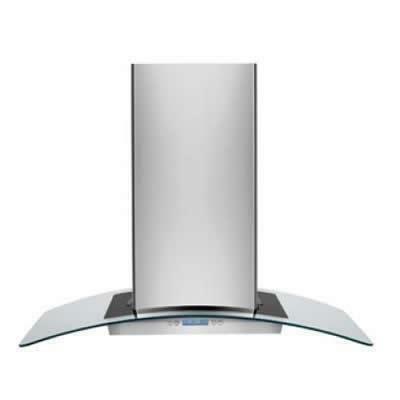 Designer island chimney hood with 600 CFM internal blower, 4 speed electronic control, 4 halogen lights and glass canopy: 42-Inches. 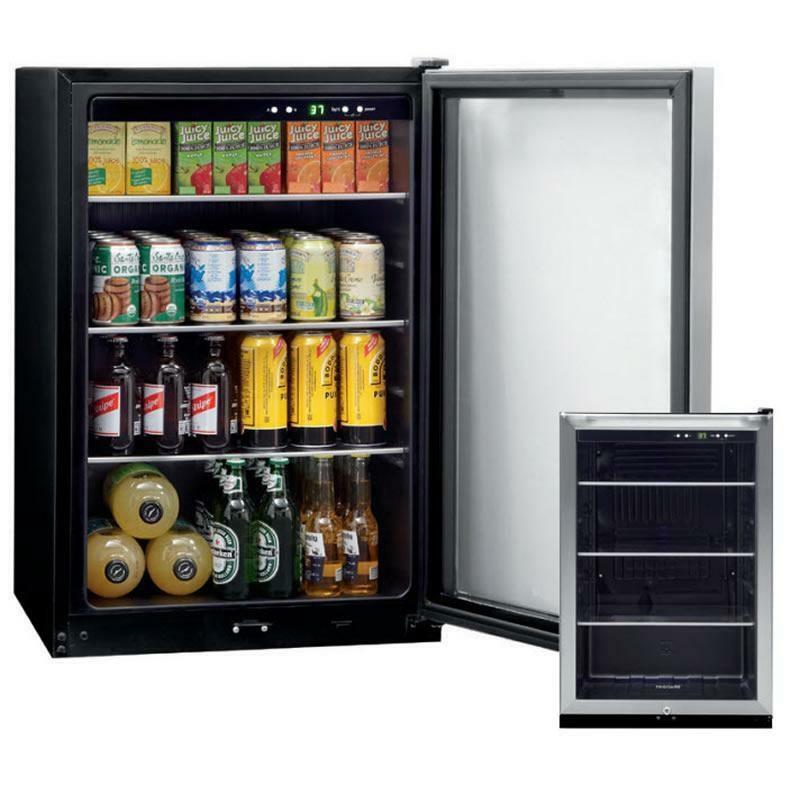 Frigidaire 38-bottle capacity wine cooler. 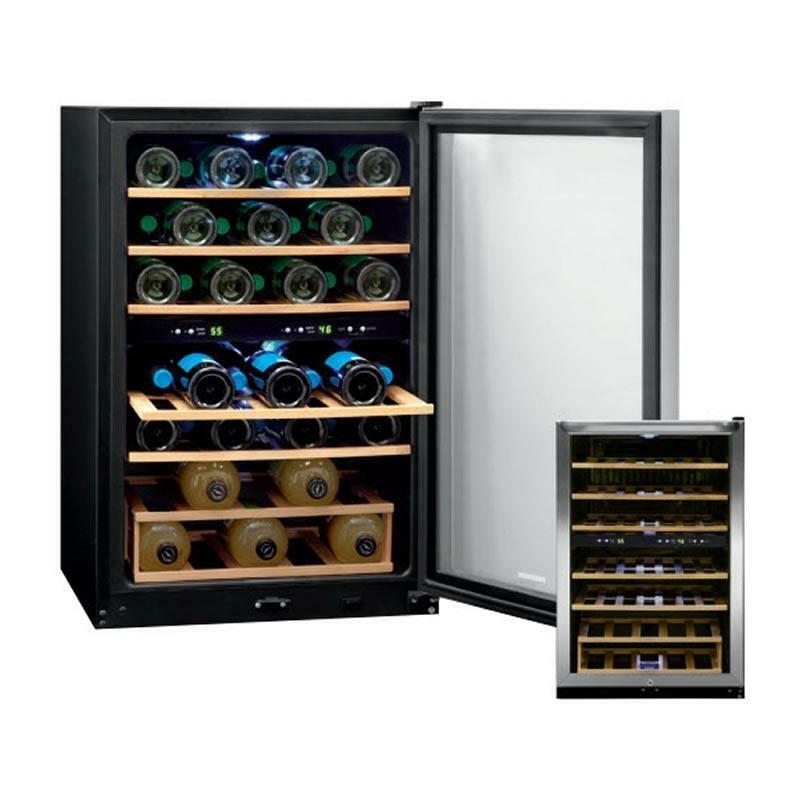 With its two temperature zones you can store red, white, and sparkling wines separately to ensure each is kept at the appropriate temperature for maximum taste. 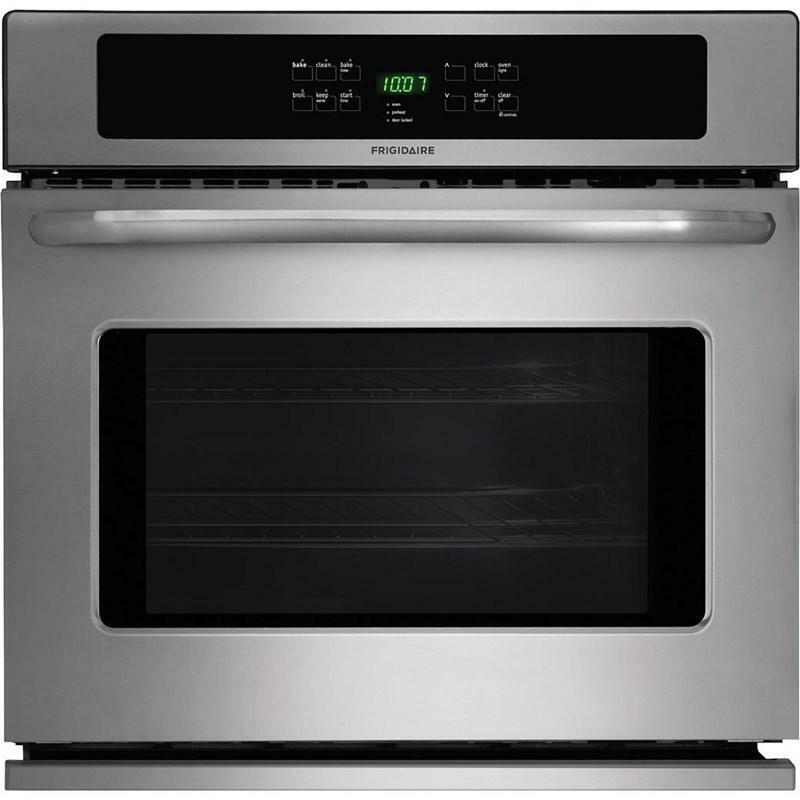 Frigidaire 30 " electric cooktop featuring a ceramic glass surface. 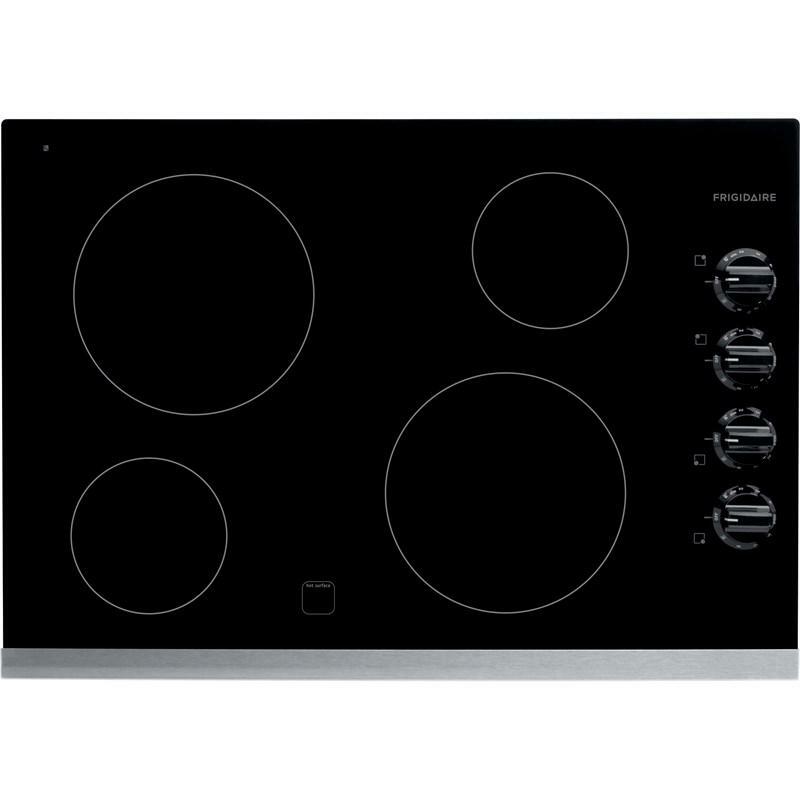 This model offers right side controls, a hot surface indicator light for safety and bevelled edges. 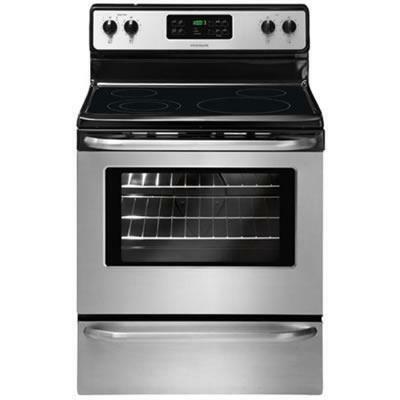 It is also approved for single oven combination installation.